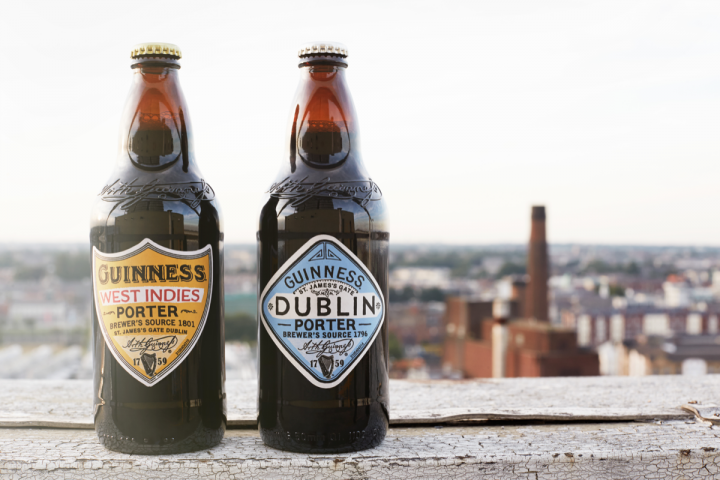 Guinness showcased a scrapbook of vintage labels, some of which inspired the design for the new Dublin Porter and West Indies Porter. Guinness brought a piece of history from its St. James’s Gate brewery to New York City last night at the Highline Hotel in Chelsea. 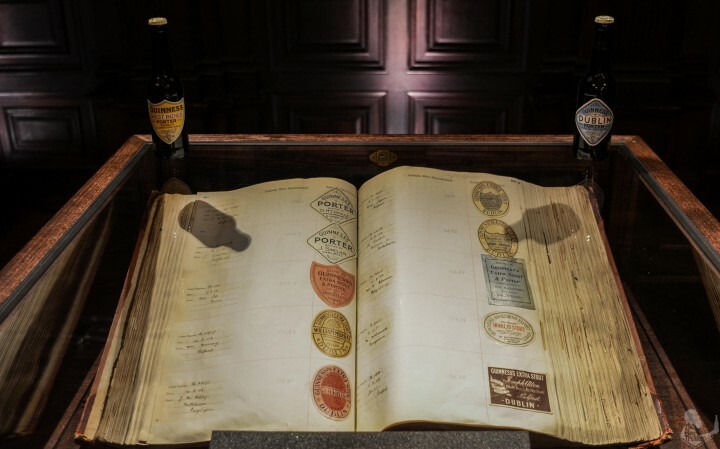 The “Open Gate” event showcased the original 18th-century diary of early Guinness brewers, which is normally kept in the company’s Storehouse archives in Dublin. Guinness archivist Eibhlin Colgan was on hand to explain the significance of the diary, as well as a scrapbook of historical Guinness labels culled from Irish pubs in the early 20th century. Recipes from the diary and some of the labels inspired two new Guinness beers that are launching this month in the United States. Based on a 1796 diary entry, the 3.8-percent alcohol-by-volume (abv) Dublin Porter aims to embody the “golden age of porter” in the 1800s. The 6-percent abv West Indies Porter comes from an 1801 recipe that marked the first Guinness beer brewed to withstand long sea voyages. The two beers debuted in the United Kingdom and Ireland in 2014 and are currently available in the U.S. market as part of The Brewers Project variety pack ($21.99). Listings include Costco, Sam’s, BJ’s and Total Wine & More locations.